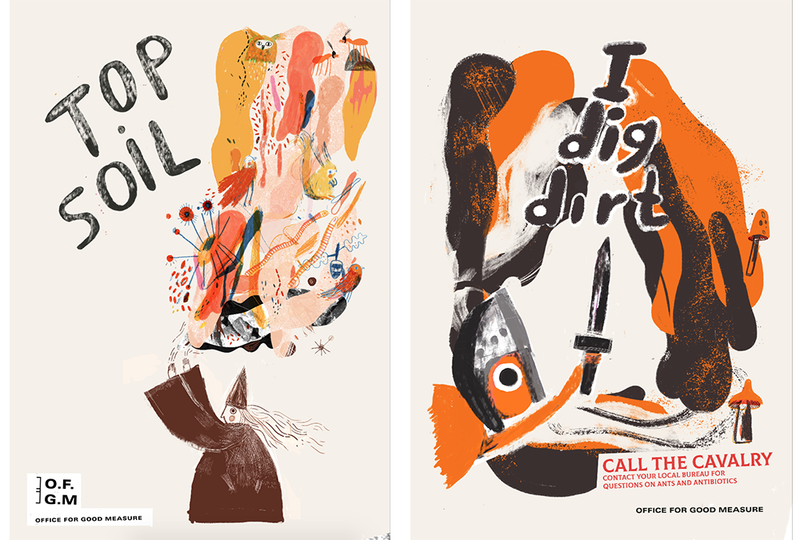 Bald’s Leechbook is one reference for illustrator Liv Bargman’s The Office for Good Measure, a project exploring the intersection of folklore and science. In May, Bargman graduated from the MA Art and Science course at Central Saint Martins. 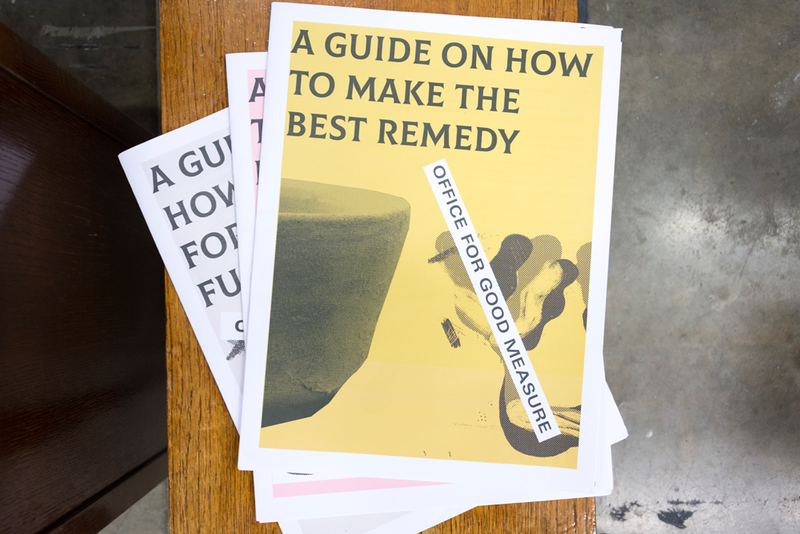 For her degree show, she created an interactive office inspired by midcentury Citizens Advice Bureaus—with a mythological twist—complete with posters, newspapers (featuring excerpts from Bald’s Leechbook), instructional videos, surveys and even an "employee" to guide visitors through the space. Below, Bargman details her research and design process—including how she used digital tabloids to support her fictional world—and shares what she's up to next as a new graduate. I’m interested in speculative design and using illustration as a tool to visualise the future. My graduate project, The Office for Good Measure (OGM), is a fictional government body 30 years from now. The OGM explores our relationship with modern medicine by imagining a world where citizens collect soils to develop their own medicines. This vision of home remedies looks to the future but also harks back to folk traditions of the past. 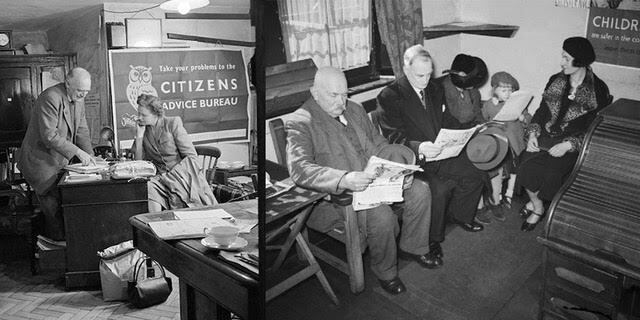 Before I started designing my exhibition, I visited Citizen Advice Bureaus in the UK and researched their histories. The first bureaus opened in 1939—the government saw the need for an information service to support the fledgling social welfare programme. I studied photos from inside the different offices. I also looked at public information films from the 20th century, like those produced by the Ministry of Food. You can see a lot of these films for free on the BFI Player! There’s also an incredible treasure trove of a place in rural Shropshire called Land of Lost Content, which holds collections of cultural ephemera and obscure ordinary objects from the pre-digital era. To make my illustrations, I start off on paper and use pencils, brush pens and inks to get nice textures. 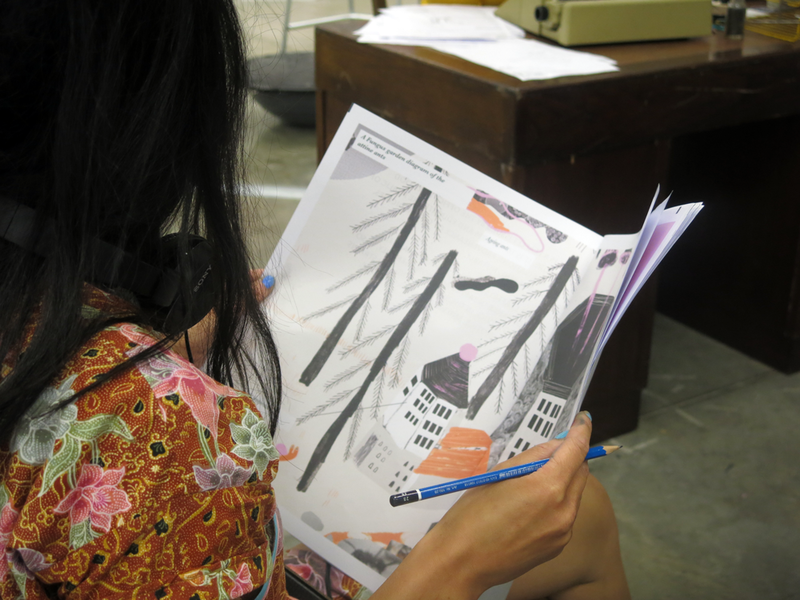 Then I scan the images and work digital colour into it. I tend to add more handmade marks into that afterwards, too. I use a little Wacom tablet for digital colouring. 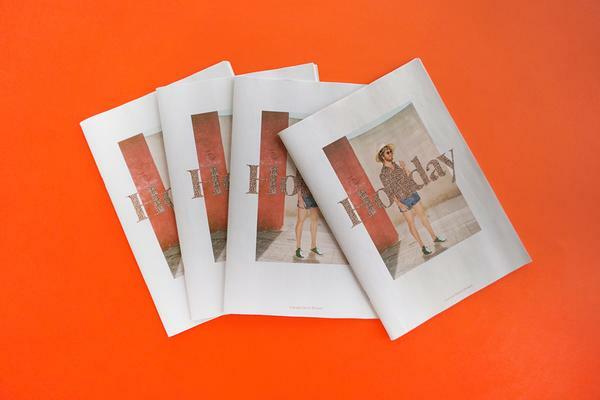 Once I’d decided to use newspapers as part of my show, I ordered samples from Newspaper Club to see the different formats and chose the digital tabloid. 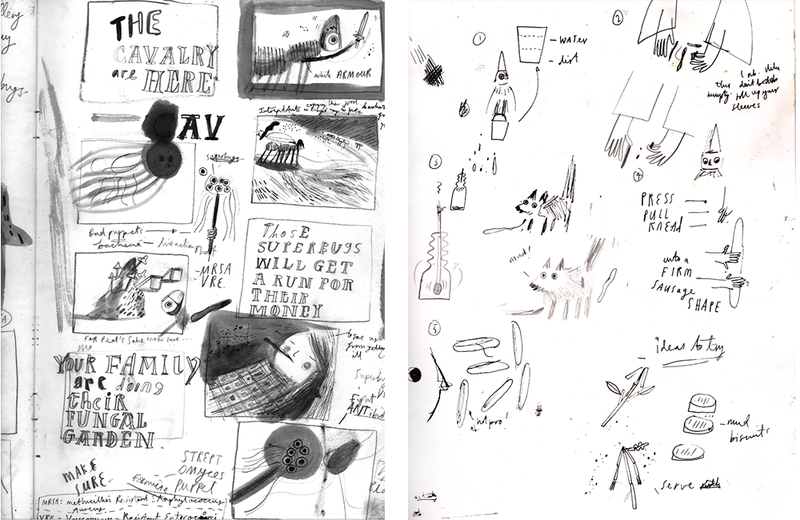 I drew thumbnails for the layouts of each paper, then made a small dummy book to test the flow of the pages. I finished all the illustrations and dropped them into InDesign, where I put together the newspaper layout. I wanted the newspapers to feel like props from an old film/TV show—I was really into Look Around You, the BBC comedy that satirises Tomorrow’s World, with all its incredible beige hues! 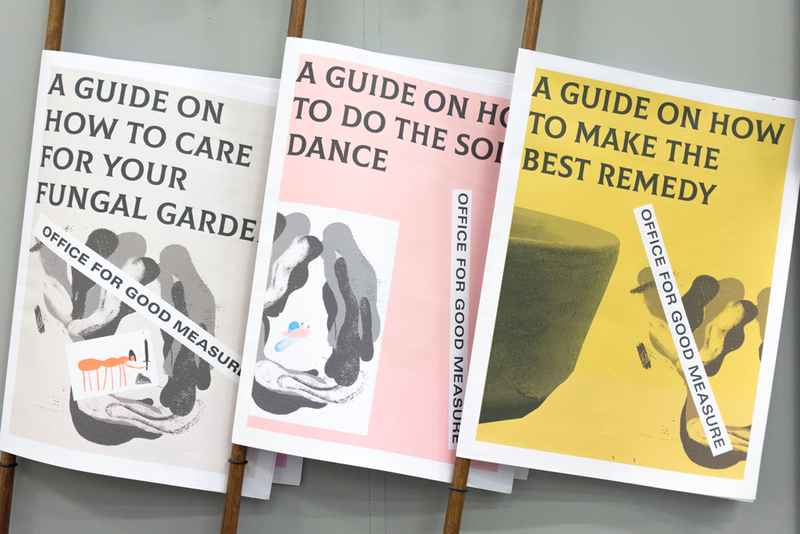 In the end I made three guides, printed as digital tabloid newspapers: How to Make the Best Remedy, How to Care for Your Fungal Garden, and How to Do the Soil Dance. They’re filled with pseudo-science information in the form of how-to manuals. 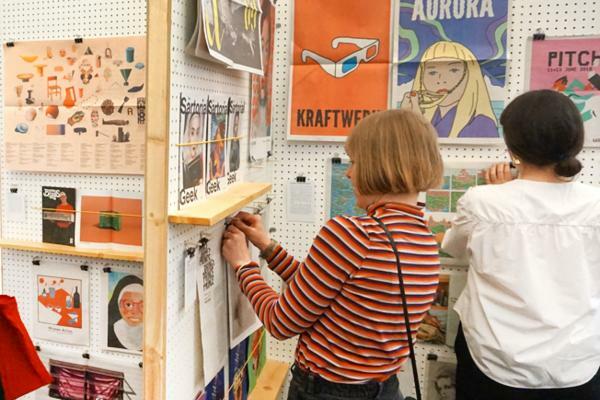 I displayed the newspapers on the wall at my exhibition using newspaper holders/sticks like the ones you find in hotel lobbies and French cafés. I also left copies on the desk and some were handed out by an OGM “employee”, actor Lisa Maria Berg. I was present for most of the exhibition and loved watching how people engaged with the printed materials—and was pleasantly surprised by how intact the newspapers were after being handled by so many visitors! I’m going to send the leftover newspapers to agencies to promote my work. 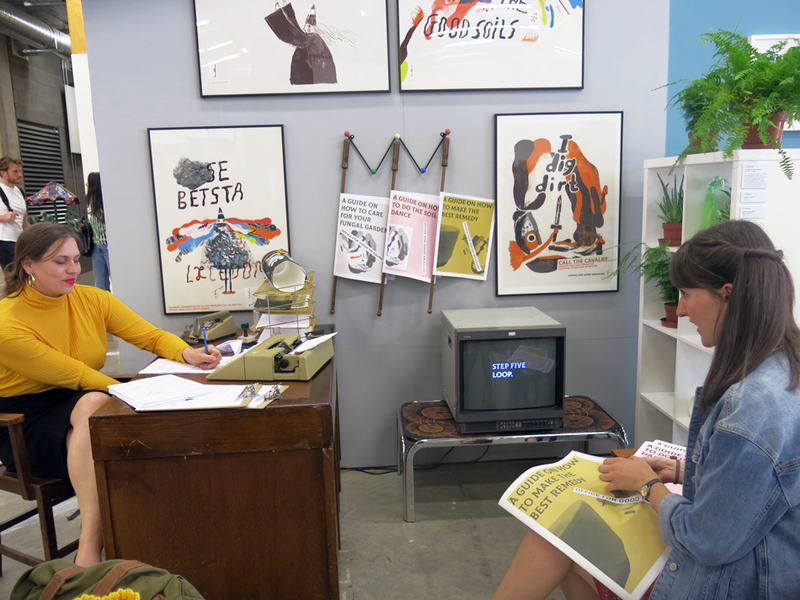 I’m also planning a couple of exhibitions and potentially doing some work in a governmental policy making lab. 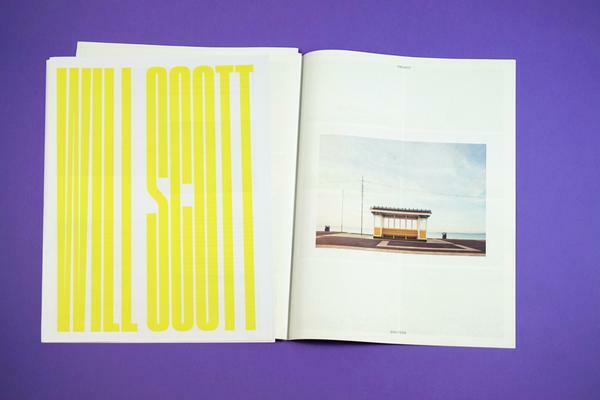 Visual communication and science communication are things I am very interested in—I don’t think good design has to be compromised in science communication. There was an exhibition at the Wellcome Collection last year called Can Graphic Design Save Your Life? that showed how true this is. Looking ahead, my dream project would be to work with the Wellcome Collection—maybe collaborate with other illustrators on an exhibition and book illustrating the future!